A report from DFC Intelligence has shed some light on the macro trends of the gaming industry, revealing just how much better it is for companies to be developing games-as-a-service. They attribute nearly all of EA’s and Activision’s growth to their games-as-a-service, and rightly so: EA scooped up $2B in microtransactions last year, and other companies made $22B from microtransactions in free games. Plus, in the year after acquiring King (the studio behind Candy Crush Saga) for $6B, Activision's digital revenue increased by 94%. Games-as-a-service encompasses a large variety of games. A famous (and comedic) example is EA’s Star Wars Battlefront 2, that basically forced the player to continuously spend money on it. Any game that relies on microtransactions (such as NBA 2K19) or DLCs (such as Destiny 2) qualifies at least partly as a game-as-a-service. Games that have a once off fee but were cheap to develop because they rely on multiplayer content (such as Overwatch) are also games-as-a-service. While many players have been making a fuss about how single-player titles like Skyrim or The Witcher are better and occasionally cheaper in the long-run, it seems that many do prefer games-as-a-service. The best example of this is the war between PUBG and Fortnite in which Fortnite is winning, largely because of its games-as-a-service model. Despite dialing the microtransactions down a bit after EA’s loot box disaster, both EA and Activision are pushing the model even harder for 2019. EA is only launching seven games next year, and four of those are only recurring sports games: FIFA, Madden, NHL and NBA. They all include microtransactions of some form, and so does their soon to be launched Battlefield V. We’ll have to wait and see about Anthem and Sea of Solitude. 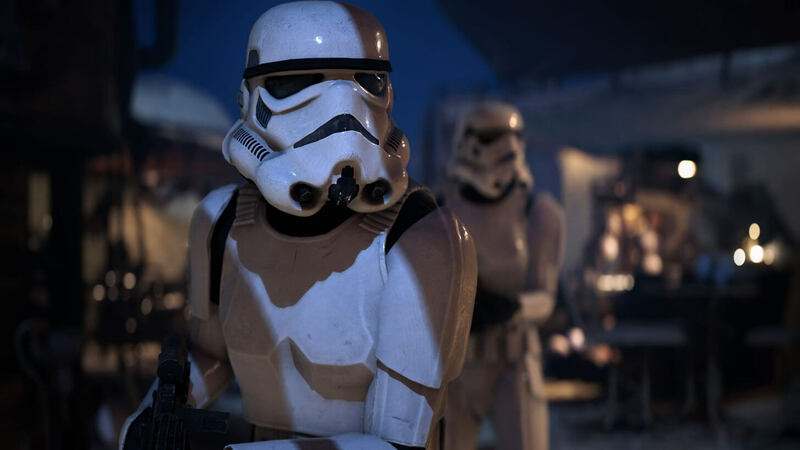 EA is mostly relying on their twelve current games-as-service for income, which comprise of previous Star Wars and sports titles. Likewise, “Activision Blizzard has narrowed its packaged product lineup to a handful of franchises,” DFC’s report says. “Namely this is Call of Duty and Destiny.” Black Ops 4 doesn’t even have the single-player campaign that the previous Call of Duty installments were famous for. The basic motto of games-as-a-service is ‘less product, more profit’ and it makes sense as to why developers would want that. In the future, we’ll probably see this portion of the industry increase and things like console-as-a-service, game streaming and Xbox Game Pass become even more popular. Thankfully, the AAA packaged product isn’t going away either, as Rockstar Games’ Red Dead Redemption 2 and CD Projekt Red’s Cyberpunk 2077 will tell you. This isn't good for the consumer whatsoever. Very smart minds behind the scenes and they'll go to any length to get that extra Benjamin Franklin out of your pocket. Well, more like 25 Alexander Hamilton's, because you know, most people are too dumb to notice. ShagnWagn and Reehahs like this. Why would you care about the consumer, consumer made a conscious decision to support EA by buying their games and mt's, if they are getting rinsed they are doing it to themselves. The same people who criticise EA for being greedy will later buy all of their ****. This is entirely the consumer's fault to begin with. Microtransactions wouldn't exist if people didn't constantly buy them. Preorder bonus day one DLCs and preorder restrictions wouldn't exist if consumers didn't continue to preorder games. And then we blame big companies for giving consumers what they want. The worst are the consumers who complain about this stuff and then go ahead and buy microtransactions and preorder anyways. It's like they haven't learned that companies only care if you vote with your wallet. Same goes for voting, party line voters, and political participation. ShagnWagn, Fearghast, Reehahs and 1 other person like this. Overwatch was "cheap to develop"?!? Source? Why wouldn't it be cheap, it's just a rip off of TF2 n a few other games that were out way before. Yes it has some different content but the gameplay and style were taken from TF2 and some others. This put me off the Battlefield franchise. Reehahs and kombu like this. All I can say is "from me they are not". Rayzor and Stark like this. This is a win for the consumer because they're getting what they want to pay for. If you don't like it then apparently you don't have enough money. Remember you can always vote for the other side at GOG.com. Not much new there which is big and current but there are still a lot of great games available sans DRM. There're always products for people with more money than brains to spend it on. If those people weren't buying digital graphics and flashing lights telling them how cool other people will think they are, they'd likely spend it on something equally inane. It's not a win if this is deceptive marketing. A low cost or free to play game hides the true cost of the game. It's the behavioral science as gambling. People are not perfectly rational actors. The worst part about this for others gamers is that it shifts all capital and development away from promising other AAA titles. Which is why you see comparatively few of them. Almost every traditional game (say, NBA2k or Madden) has DLC randomly shoved into it. Many single player games never become more than a concept. Unfortunately, with an asymmetric relationship between companies and consumers, consumers are powerless to stop this shift. EA's Battlefront 2 (and subsequent profits) is a perfect example of talking about a problem not stopping the problem. If you don't like it then apparently you don't have enough money. Wow you just ignored people like us who "do" have enough money but make a rational choice of how to spend it. I can by EA games I just choose not too. Also it must feel pretty breezy on that tower of yours. Except that it was a product in development for 10 years that went through two or three major incarnations before it was reworked into the Overwatch product we know today. Plus, as an avid fan of both games, I think that any similarities it has to TF2 would mean nothing for development time and cost savings. Both games being team based shooters doesn't mean that Blizzard didn't have to build a new gaming engine, design original levels, write novel characters, do thousands of balance changes etc. Superficial similarity between games doesn't translate into cost or time savings, AFAIK. It's just economics, either the price is too high for you or it isn't. It's clearly not too high for most people as they're buying into the microtransaction style of gaming nowadays. Perhaps I was glib in phrasing it the way I did but in the end many people don't have the money to spend on gaming this way, by choice or not. Mmm, but didn't EA turn off the loot crates in Battlefront II? I have the game but mostly for single with only a little co-op mode. I haven't gotten any crates but frankly I haven't played in a few months. No arguments about people not being perfectly rational actors, microtransactions take advantage of that. People are bleeding their wallets. Paying for skin on your car or a uniform on your soldier? All of this reminds me of little girls dressing up their dolls. The kids (especially boys) these days spend loads of money dressing up their video game dolls. You don't even get anything tangible, plus all that money you bled is gone forever if they decide to shut the game servers off. The root of the problem, and I mean the root of all roots is that more and more people choose to live a virtual life in gaming instead of the rea life.. And how and how much they spend on that is just the details. EA is jus taking advantage of that. This is to easy for my cynical comments so I'll just let others rip this one apart. They reintroduced microtransactions as soon as the smoke blew over. People went back to buying them shortly after saying they wouldn't buy them. EA was smart and did this incrementally to avoid another backlash. Techspot and other sites would notice the change, report it, have a bunch of eyerolls in the comment section, and then EA would just keep on increasing their sales.